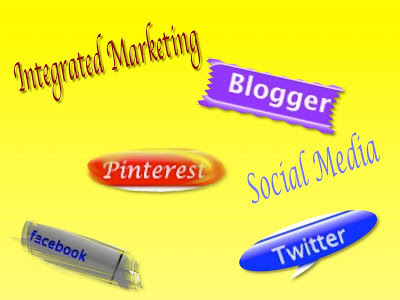 Integrated Marketing is the process of combining all branding promotions to promote a specific product or service to a mass audience. When done properly, all components of marketing communications are combined to produce increased sales and maximize costs. Below we will share with you our top 5 facts necessary to be aware of in the Integrated Marketing World. 1. Use your Facebook Fan page to promote key content about your brand. Facebook is very popular. Make sure that your page says the right things about your brand based upon the content that you post. 2. Join the right conversations at the right time. Join conversations that provide the proper exposure via topic manner and quantity of users being engaged. 3. Use your brand community to provide market research data. Design surveys to gather the thoughts of the individuals who follow you to help find out current and new trends. 4. Offer value on Twitter first, don’t just self promote. Make your beginning focus on Twitter to get to know current followers and make new ones. Find out commonalities and engage united resources before beginning to seek out promotion. 5. Blog about how your customers can benefit from your products or services. Post articles that highlight your brand and display your unique product or service offerings. Sell yourself as the best and people will want to find out just how great you are.